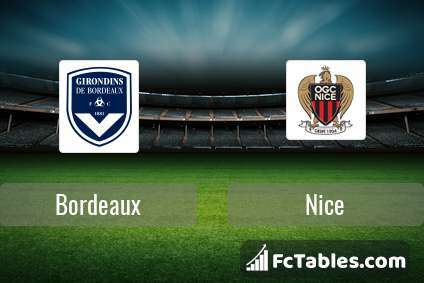 Match Bordeaux-Nice Ligue 1 the fixture is set to kick-off today 16:00 on Matmut Atlantique. Refereee Jerome Brisard. Team Bordeaux is located in the middle of the table. (8 place). In 5 last matches (league + cup) team gain 14 points. 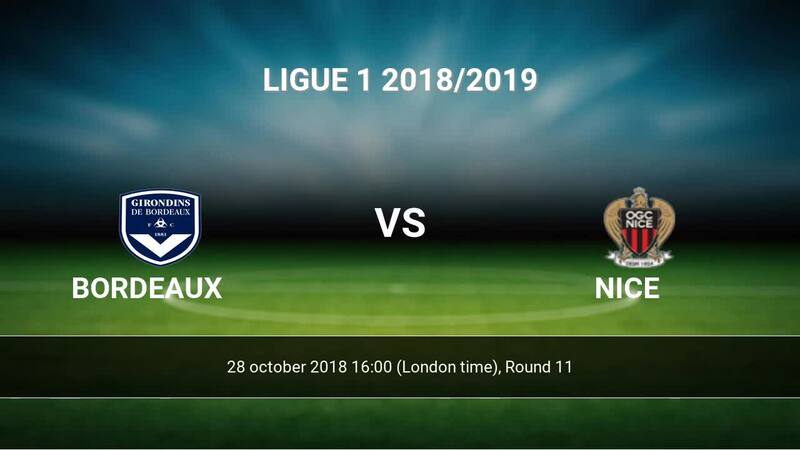 Bordeaux has not been defeated at home from 4 matches. The most goals in Ligue 1 for Bordeaux scored: Francois Kamano 7 goals, Jimmy Briand 2 goals, Yann Karamoh 2 goals. Team Nice currently is on lower place in table (17 position). Last 5 games (league + cup) finished balance 4 points. 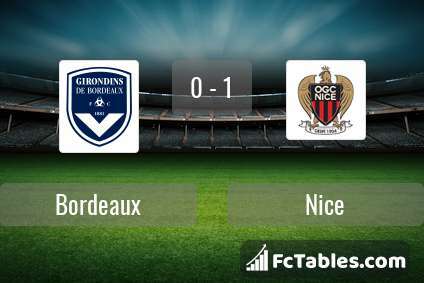 Nice did not win the match from 3 games. away from 2 matches team have not been defeated. The most goals in Ligue 1 for Nice scored: Allan Saint-Maximin 2 goals, Bassem Srarfi 1 goals, Christophe Jallet 1 goals. Players with the most assists: Allan Saint-Maximin 1 assists. Direct matches: Bordeaux won more direct matches. 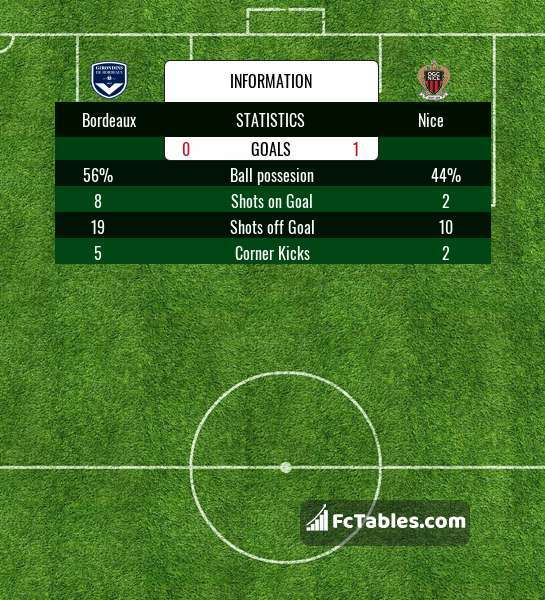 Bordeaux won 13 matches , Nice won 10 direct matches, was a 13 draws. In 18 matches the sum of the goals both teams was greater than 2.5 (Over 2.5), and 26 matches teams scored more than 1.5 goals (Over 1.5). In 21 matches the both teams scored a least one goal (Both teams to score).